The truest form of “invisible” braces, Incognito™ appliances are hidden on the back of your teeth, where no one can see them. Experience the confidence that comes with having straight, beautiful teeth! Incognito™ Hidden Braces are suitable for anyone who wants to have straighter teeth — especially adults with more complicated cases, as we can achieve difficult movements that might be more challenging to manage with other types of braces. To find out whether or not Incognito™ orthodontics is an option for you, contact MV Ortho to schedule a consultation with Dr Mun Jong in our Mona Vale office. We’ll be happy to discuss your treatment choices, so that you can select one that’s both aesthetically and functionally effective for your bite. 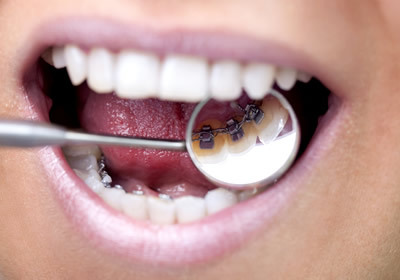 While some insurance plans include a rebate for orthodontic treatment, many do not. That’s why we work to create flexible payment options for our patients. We offer conveniences such as 0% interest financing, fow monthly payments, $0 deposit and flexible Denticare payment options. Are Incognito™ Hidden Braces the best option for you or your teenager? Contact MV Ortho today to schedule a no-hassle consultation with our orthodontic specialist.